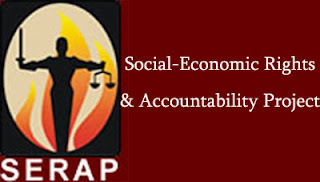 A civil society organisation, Socio-Economic Rights and Accountability Project (SERAP), has sued the federal government for what it described as its failure to release the names of suspected looters of the country’s treasury and the circumstances under which the stolen public funds were recovered. The suit filed last Friday at the Federal High Court in Lagos followed a Freedom of Information (FoI) request to the Minister of Information, Alhaji Lai Mohammed, asking him to provide information on the names of high ranking public officials from whom public funds were recovered and the circumstances under which the funds were recovered, as well as the exact amount of funds recovered from each public official. The originating summons was brought pursuant to Section 4(a) of the FoI Act, and signed by SERAP’s Executive Director, Adetokunbo Mumuni. Joined as defendants in the suit are Mohammed and the Federal Ministry of Information and Culture. The plaintiff argued that by a letter dated 21 June, 2016, the Attorney General of the Federation (AGF) and Minister of Justice Abubakar Malami (SAN) confirmed that the FoI request by SERAP was brought to the attention of the defendants for handling. It said since the receipt of the FoI request and the confirmation by Malami that the request was brought to the attention of the defendants for handling, and up till the time of filing of the suit, the defendants had refused to provide SERAP with the details of the information requested. SERAP is asking the court to determine whether by virtue of the provision of Section 4(a) of the FoI Act, the defendants are under any obligation to provide the plaintiff with the information requested. The suit read in part: “By virtue of Section 1(1) of the FoI Act 2011, the plaintiff is entitled as of right to request for or gain access to information which is in the custody or possession of any public official, agency or institution. Under the FoI, when a person makes a request for information from a public official, institution or agency, the public official, institution or agency to whom the application is made is under a binding legal obligation to provide the plaintiff/applicant with the information requested for, except as otherwise provided by the Act, within seven days after the application is received. “The information requested by SERAP does not come within the purview of the type of information exempted from disclosure by the provisions of the FoI Act. The information requested for, apart from not being exempted from disclosure under the FoI Act, borders on an issue of national interest, public concern, social justice, good governance, transparency and accountability. “The defendants will not suffer any injury or prejudice if the information is released to the members of the public. It is in the interest of justice that the information be released. Unless the reliefs sought herein are granted, the defendants will continue to be in breach of the FoI Act, and other statutory responsibilities. “While the suspects generally are entitled to be presumed innocent until proven guilty by a court of competent jurisdiction, the FoI Act implicitly prohibits a blanket non-disclosure of names of high-ranking public officials from whom some of the funds were recovered.